Live music every weekend, and more! 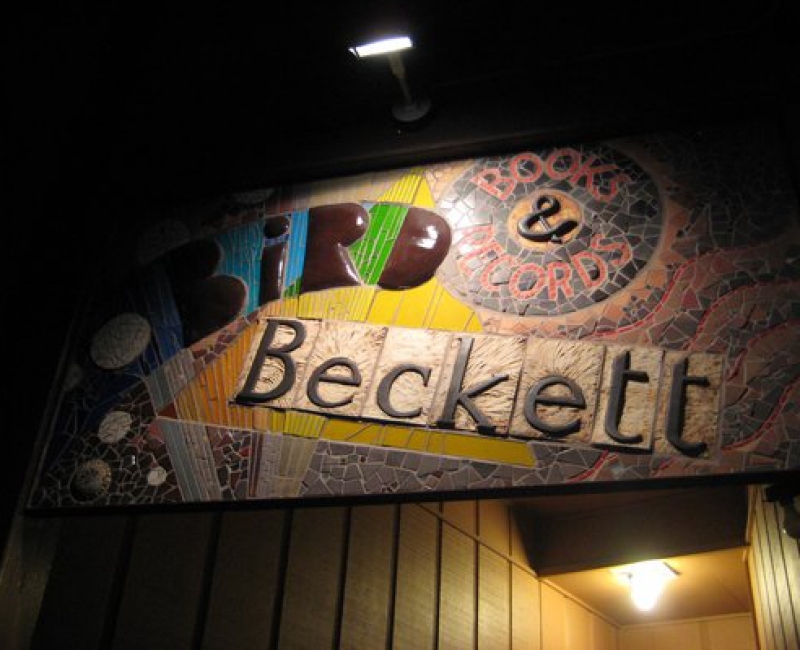 All of our presentations are supported by your attendance and donations at the shows and by your tax-deductible contributions to the Bird & Beckett Cultural Legacy Project, a 501(c)3 nonprofit organization. 7:30-10 pm every Saturday night! $10-20 cover charge. “jazz club” is what we call our weekly Saturday nights, when we douse the store lights so you can focus on the work of the best jazz talent the Bay Area has to offer, showcasing the musicians you want to hear– whether you know it or not! It’s a beautiful scene, and we hope you’ll make it a habit. $10-20 per adult suggested donation - kids welcome & free! pay what you can! but if you can, pay what it takes to help us pay San Francisco's fine cultural workers! Our weekly Friday "jazz in the bookshop" series is the cornerstone of our live music programming, We've never skipped a Friday since the series began in October of 2002. Jazz mostly in a bebop/straight-ahead mode by consummate long-time professionals and the best young players on the local scene. Thanks to the jazz philanthropists, among whom we number Wesley Day, Bob Cohn, Wes Lukacek & Tina Ho, Mike, Aaron & quite a few others. Rich or poor or in between, many exhibit that philanthropic attitude that help us make this work! A weekly concert series, 4:30 to 6:30 pm. $10 per adult suggested donation; children free. Our Sunday concert series began in 2007, increasing our programming from a single weekly program to two, a slippery slope, that!, allowing us to significantly broaden our jazz offerings and also to begin to accommodate a number of traditional forms beyond jazz. A number of cultures and musical disciplines have been richly represented over the past decade, often by musicians who call the Bay Area their home, carrying with them musical traditions from the places where they were born, grew up and came of age. Many thanks are due Jean Conner for her very generous support of this series. This concert series allows a little room in our calendar to present music of various types - from country to cabaret to classical, to events sui generis, like the classic "Beat Clown Poetry Happening." As of January 2018, this series has been pared back officially to the ongoing residency of The Seducers, a classic/outlaw/honky tonk country band led by steel player Joe Goldmark, playing on our stage every 2nd Sunday of the month, but remains an umbrella that we put to use when it's raining culture in San Francisco and we need a catch basin to not let those precious fluids go to waste!! On the first and third Monday of each month, Jerry Ferraz hosts a poetry reading that showcases local legends, poets passing through and folks from around the Bay -- typically two featured poets followed by an open mic. We can count on a warm group of poets and poetry fans eager to hear the features and the potpourri of poets of every stripe who come out to read and keep the open mic scene alive. Drawing on the generosity of our neighbors and patrons, we're able to pay a small honorarium to the featured poets, a rarity in reading series off the college campuses… your additional dollar or two tossed in the bucket at the readings makes it that much sweeter. 2018-19 SF Poet Laureate Kim Shuck has graciously taken on some booking chores since assuming her laurels, and much fun, and some magnificent poetry, is to be had as a result!